Carrying the torch over from this old thread..
Who's bringing the Metal to Black ROCK City this year?! As y'all should know by now, The Bonerpillar is all about the Rock and I want to make it clear that we love our Metal as well! Join us for our 1st Annual Thrasher Thursday Deep Playa Metal Cruise. Thursday 2-5 pm we will be touring playa art installations and blasting the very best of Thrash, Traditional, Death and Doom metal! Maybe we'll even throw in some Norwegian Black Metal for good measure..
Who's with us?! It's time to bring the Brutality to BRC! I think it'd be SO cool if you opened with the Ramones "Do you remember rock & roll radio" then let us have it!! Actually I'd go all the way back and open with Bill Haley R.O.C.K. Rock.... then hit it hard. Endless playa oontz-oontz with some speed guitar riffs? Damn I'm missing a good time. All over it! After your voyage, stop by Camp SLAYER for Heavy Metal Happy Hour! HEAVY METAL HAPPY HOUR at camp SLAYER! Calling all metal heads! We all love the oonz oonz oonz electronic sounds of the playa but sometimes you need a break from the endless beat of the electronic drum. Metal heads rejoice, HEAVY METAL HAPPY HOUR is here to provide you with heavily distorted guitars, face melting riffs and the baddest breakdowns ever chopped with an axe. Camp SLAYER will be serving up Heavy Metal themed drinks, such as our world famous extra spicy raining "Raining Blood(y Mary)" and many more. Stop by for a stiff drink, bang your head to the heaviest metal on the playa and play the NAME THAT GUITAR SOLO quiz for prizes and glory. Bar closes at 6:66 pm daily (7:06 for the layman). I went to the sound system store today... this is going to get LOUD! 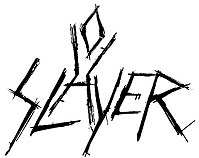 ACfromSAC wrote: After your voyage, stop by Camp SLAYER for Heavy Metal Happy Hour! We just might! Do ya'll have placement? A-RockLeFrench wrote: We just might! Do ya'll have placement? Unfortunately not. Hopefully next year. We'll have plenty of signage along the street and Slayer flags flying. Hopefully you'll spot us during a cruise through the city. I'm so excited to see this! I'm marking it on my calendar! We usually stay around 5 & I. Stop by if you're in the neighborhood. That goes for you too Slayer Camp! shaia, your flag is upside down! Broad white stripe goes on top in upper left. Oh my gosh, yes, I was a few blocks from them. So cool. 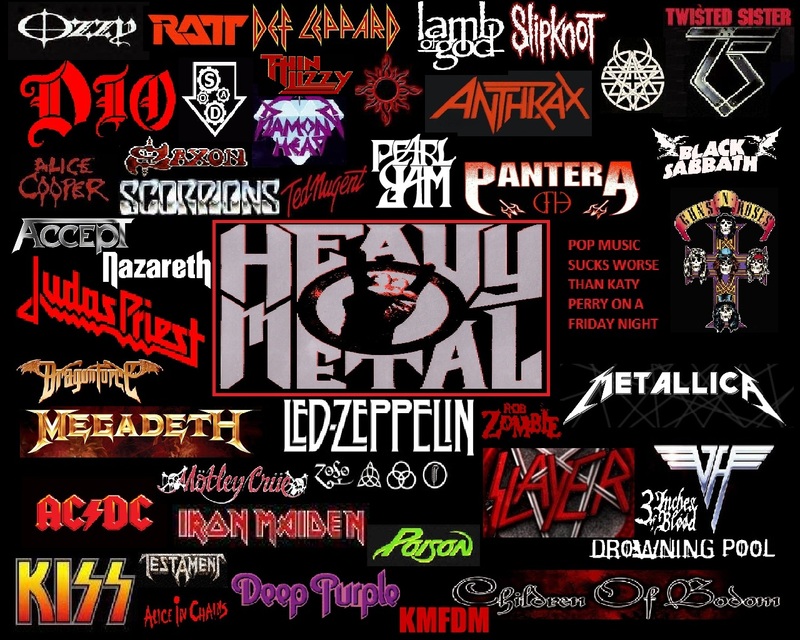 That's an interesting assortment of metal bands in that image. Definitely looking forward to some Pearl Jam and Poison. I usually get my metal and punk fix out at VBC. Live bands, even. Worth the trip - though they're not as isolated as they used to be.